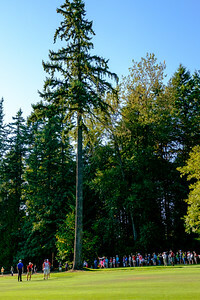 Covering the 2015 Canadian Pacific LPGA Women's Open at the Vancouver Golf Club in Coquitlam, British Columbia, Canada with Fujifilm X-T1, XF1.4 teleconverter, XF50-140mm, XF14mm and XF16-55mm. 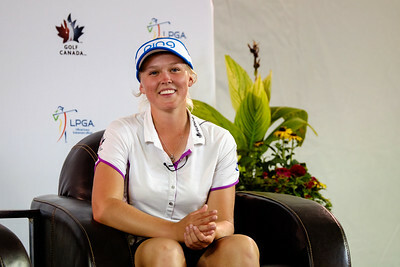 Brooke Henderson is interviewed in the media tent during the the LPGA 2015 Canadian Pacific Women’s Open at the Vancouver Golf Club in Coquitlam, B.C. on August 20, 2015. Mi Hyang Lee of South Korea fires her tee shot on the 18th hole during the first round of the LPGA 2015 Canadian Pacific Women’s Open at the Vancouver Golf Club in Coquitlam, B.C. on August 20, 2015. Ai Miyazato of Japan plays out of a bunker on the 3rd hole duing the first round of the LPGA 2015 Canadian Pacific Women’s Open at the Vancouver Golf Club in Coquitlam, B.C. on August 20, 2015. 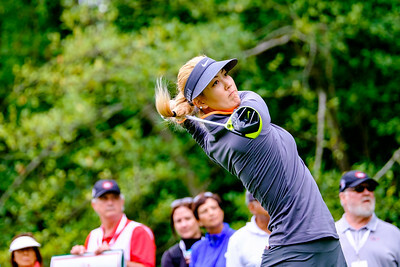 Michelle Wie watches her drive duing the first round of the LPGA 2015 Canadian Pacific Women’s Open at the Vancouver Golf Club in Coquitlam, B.C. on August 20, 2015. Lexi Thompson watches her drive on the 2nd hole duing the first round of the LPGA 2015 Canadian Pacific Women’s Open at the Vancouver Golf Club in Coquitlam, B.C. on August 20, 2015. Lexi Thompson hits a second shot on the 2nd hole duing the first round of the LPGA 2015 Canadian Pacific Women’s Open at the Vancouver Golf Club in Coquitlam, B.C. on August 20, 2015. 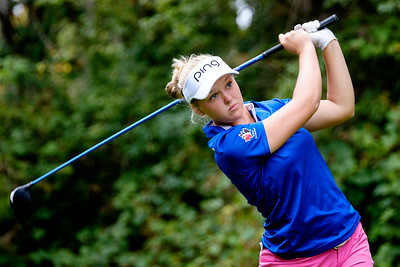 Brooke Henderson watches her tee shot on the 15th hole duing the first round of the LPGA 2015 Canadian Pacific Women’s Open at the Vancouver Golf Club in Coquitlam, B.C. on August 20, 2015. Brooke Henderson watches her putt on the 15th hole duing the first round of the LPGA 2015 Canadian Pacific Women’s Open at the Vancouver Golf Club in Coquitlam, B.C. on August 20, 2015. 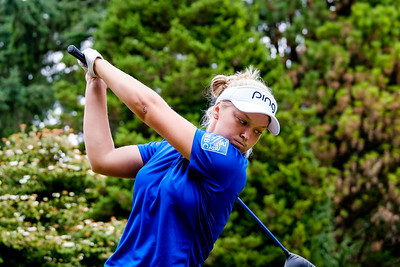 Brooke Henderson fires her tee shot on the 1st hole during the second round of the LPGA 2015 Canadian Pacific Women’s Open at the Vancouver Golf Club in Coquitlam, B.C. on August 21, 2015. Michelle Wie watches her drive on the 15th hole during the second round of the LPGA 2015 Canadian Pacific Women’s Open at the Vancouver Golf Club in Coquitlam, B.C. on August 21, 2015. 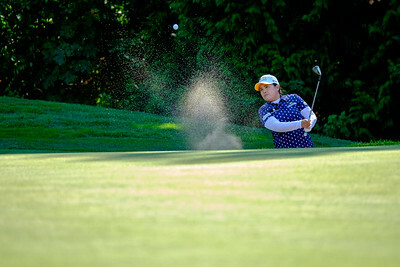 Inbee Park of South Korea plays out of a bunker on the 8th hole during the second round of the LPGA 2015 Canadian Pacific Women’s Open in Coquitlam B.C. on August 21, 2015. Lexi Thompson watches her tee shot on the 7th hole during the second round of the LPGA 2015 Canadian Pacific Women’s Open at the Vancouver Golf Club in Coquitlam, B.C. on August 21, 2015. Michelle Wie watches her putt on the 15th hole duing the second round of the LPGA 2015 Canadian Pacific Women’s Open at the Vancouver Golf Club in Coquitlam, B.C. on August 21, 2015. 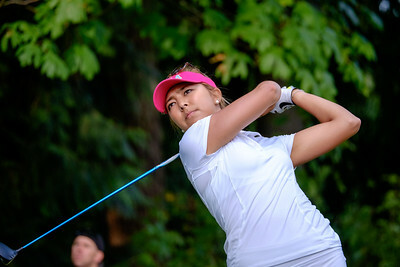 Michelle Wie evaluates the fairway on the 13th hole duing the second round of the LPGA 2015 Canadian Pacific Women’s Open at the Vancouver Golf Club in Coquitlam, B.C. on August 21, 2015. Alison Lee fires her 1st tee shot during the final round of the LPGA 2015 Canadian Pacific Women’s Open at the Vancouver Golf Club in Coquitlam, B.C. on August 23, 2015. Alison Lee waits for her turn on the 17th green duing the final round of the LPGA 2015 Canadian Pacific Women’s Open at the Vancouver Golf Club in Coquitlam, B.C. on August 23, 2015. Alison Lee lines up her putt on the 17th green duing the final round of the LPGA 2015 Canadian Pacific Women’s Open at the Vancouver Golf Club in Coquitlam, B.C. on August 23, 2015. Lydia Ko of New Zealand hits her approching shot on the 18th hole fairway during the final round of the LPGA 2015 Canadian Pacific Women’s Open at the Vancouver Golf Club in Coquitlam, B.C. on August 23, 2015. Lydia Ko of New Zealand kisses the trophy after winning the 2015 Canadian Pacific Women’s LPGA Open at the Vancouver Golf Club in Coquitlam, British Columbia on August 23, 2015. 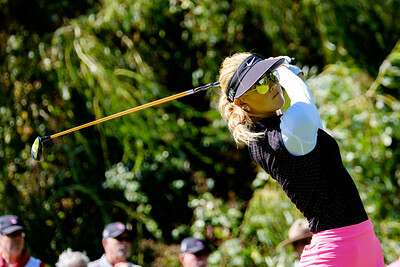 Paula Creamer tees off on the 13th hole duing the first round of the LPGA 2015 Canadian Pacific Women’s Open at the Vancouver Golf Club in Coquitlam, B.C. on August 20, 2015. 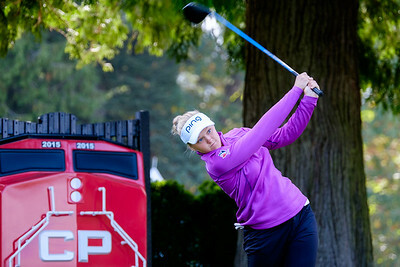 Brooke Henderson fires her drive on the 13th hole during the first round of the LPGA 2015 Canadian Pacific Women’s Open at the Vancouver Golf Club in Coquitlam, B.C. on August 20, 2015. Michelle Wie hits a second on the 9th hole during the second round of the LPGA 2015 Canadian Pacific Women’s Open at the Vancouver Golf Club in Coquitlam, B.C. on August 21, 2015. Alison Lee watches her tee shot on 17th hole during the final round of the LPGA 2015 Canadian Pacific Women’s Open at the Vancouver Golf Club in Coquitlam, B.C. on August 23, 2015. Pernilla Lindberg of Sweden watches her tee shot on 13th hole during the final round of the LPGA 2015 Canadian Pacific Women’s Open at the Vancouver Golf Club in Coquitlam, B.C. on August 23, 2015.